Hensley Beverage Company is a multi-generational, family-owned, local Arizona beverage wholesaler that distributes a wide portfolio of beverages, including Anheuser-Busch InBev (ABI) beers, top selling local and regional craft beers, premium non-alcohol beverages, and an extensive assortment of award winning fine wines and spirits. 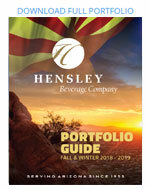 On March 15, 2016 Hensley Beverage Company finalized the acquisition of Golden Eagle Distributors, significantly increasing Hensley’s distribution area in Arizona and making Hensley one of the largest beverage distributors in the nation. 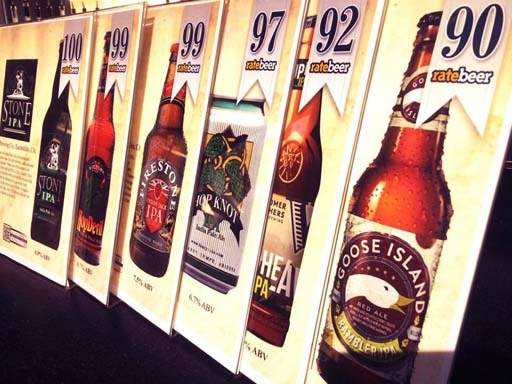 As a result of its focus on core competencies of service, integrity, and quality products, the company has been recognized locally and nationally as a leader in the community and the beverage industry. Hensley is committed to remaining Arizona’s leader in beverage distribution through tradition, innovation, and superior service. 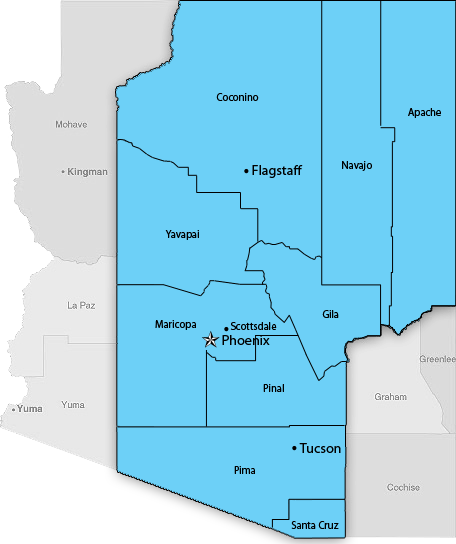 With an expanded distribution territory that covers the entire state of Arizona, Hensley is able to provide a wide range of products to many different retail businesses in all areas of our state. With branch operations throughout Arizona, Hensley Beverage Company serves the largest contiguous territory of any distributor in the nation. 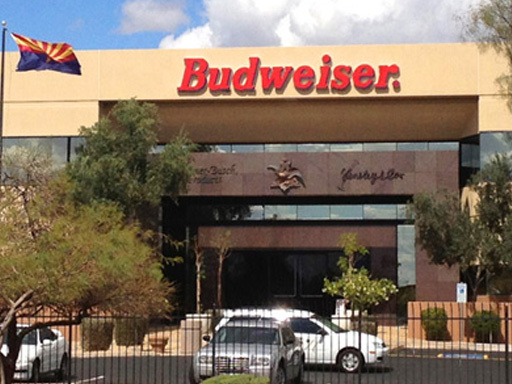 As a national leader in beverage distribution known for its progressiveness and innovation, the company has more than 1,200 employees and is one of the largest privately held businesses in Arizona. 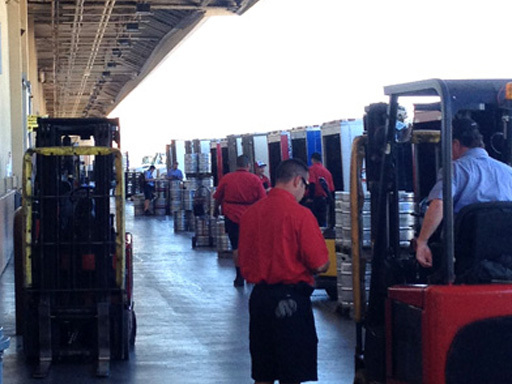 Hensley Beverage Company maintains a proprietary service fleet of more than 1,100 vehicles and the support of over 1,200 employees, servicing a customer base of over 8,000 accounts throughout Arizona from multiple state-wide branches. Maintaining a corporate headquarters at the company’s Phoenix location, Hensley Beverage Company also has fully operational controlled environment warehouse space in 6 different locations across Arizona, including Phoenix, Tucson, Flagstaff, Prescott, Chandler and Show Low. A proud member of Local First Arizona, Hensley is committed to providing first-rate customer service and a world class portfolio to the entire state of Arizona. Committed to maintaining a first rate portfolio of world class beverages, Hensley Beverage Company now distributes more than 850 leading beverage brands throughout Arizona, including Anheuser-Busch products, several leading and recognized local & regional craft beers, a wide variety of non-alcohol beverages, and a first rate book of premium spirits. Hensley Beverage Company is committed to the communities it serves and is known for its quiet but substantial philanthropy and volunteerism. The company support extends to hundreds of organizations in the areas of education, arts & culture, health and human services, and the promotion of diversity. 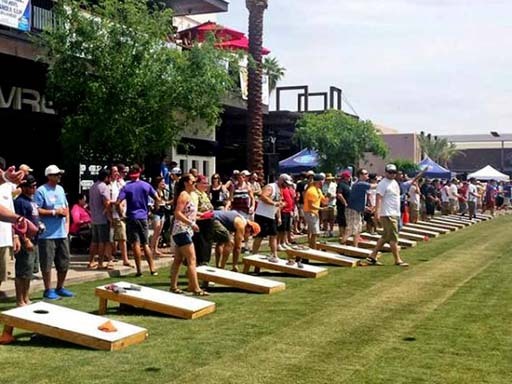 Hensley Beverage Company maintains an annual event calendar with hundreds of events, supporting communities and organizations throughout Arizona. While Hensley’s business is to sell world-class beverages, our mission is to preserve trusted partnerships with employees, customers, community, Anheuser-Busch, and all our partners, and to strive to cultivate new ones and exceed expectations… with the finest team in the industry. Drop us a line if you have any questions. We will respond as soon as possible.